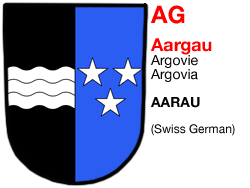 Canton of Aargau is very attractive to nature, art and culture lovers, families and all those who enjoy life. 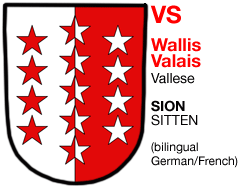 Many rivers criss-cross it: the Rhine, the Aare, the Limmat, the Reuss, and there is also the beautiful Lake Hallwil. Lots to see: castles, fortresses, thermal spas, vineyards, forests, and quiet valleys. 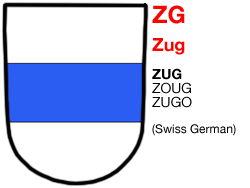 Aargau is an ideal gateway to various Swiss cities, such as Basel, Berne, Solothurn, Luzern, Zug, and Zürich. Located amidst a landscape of gently rolling hills at the foot of the impressive Alpstein mountains, the Appenzellerland, boasting the picturesque main town of Appenzell and its famous main street, is a holiday destination that offers many options to enjoy a perfect getaway in all seasons. 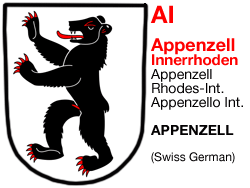 As its twin canton Appenzell Innerrhoden, Appenzell Ausserrhoden is totally enclosed in the canton of St. Gallen... Strange, isn't it? And both twins are the land of one of the best-kept Swiss secrets: the spicy Appenzeller cheese, hand-made since more than 7 centuries! 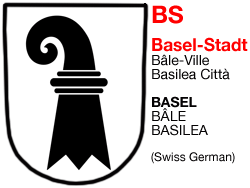 The canton Basel-Country is rich in natural beauty and cultural highlights. Classical concerts, traces of the Romans, a boat trip on the Rhine or a shopping expedition in one of our historical towns are only a few of the things we can recommend and show you that there is much to discover in the Basel-Country. 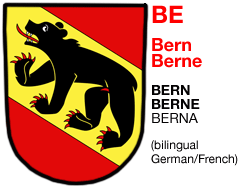 Stretching from the Jura mountains to the Alps, Bern is the second largest of the 26 Swiss cantons by both surface area and population. 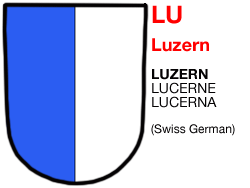 Located in west-central Switzerland, it borders the cantons of Jura and Solothurn to the north, Neuchâtel, Fribourg and Vaud to the west, Valais to the south, and Uri, Nidwalden, Obwalden, Lucerne and Aargau to the east. Somewhat a world turned upside down: cold, limestone summits in the south and mild, even Mediterranean-like lakesides in the north. 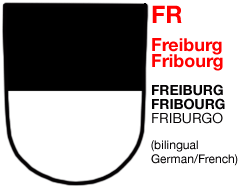 Here, two languages coexist and three very distinct regions overlap: the Prealps, with a mix of tradition and modernity and the famous Gruyère Country, Fribourg and Romont between north and south, and the Mediterranean mildness of the medieval cities of Murten and Estavayer-le-Lac, in the Three-Lakes area. 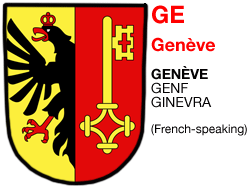 Gate to Switzerland with its intercontinental airport, Geneva is an international town worth the visit, and in the countryside you'll taste great wines! And don't forget to see the lakefront with its water fountain and its flower clock, Saint Peter's Cathedral, the Reformation Wall, the Place Neuve, the United Nations Building, the Place du Bourg-de-Four (old town) and the little city of Carouge. 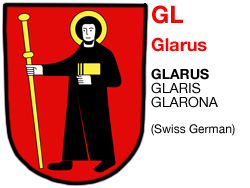 The city of Glarus, smallest canton capital of Switzerland, nestles between mountains at the foot of the Glärnisch ridge. This mountainous canton is a region where walkers, mountain climbers, cyclists and amateur geologists will discover plenty of interesting excursions and many ancient traditions. 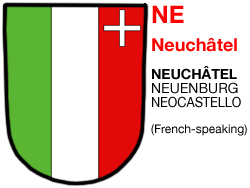 Graubünden, south-east of Switzerland, is the only trilingual canton. 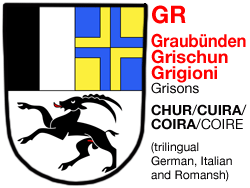 The Romansh language and culture is an important part of the Graubünden's character, which also boasts a beautiful countryside and tourist attractions: 615 lakes, more than 900 mountain tops and 150 valleys, in a typical mountain setting. 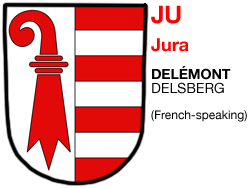 Newest of the Swiss cantons, located in the northwestern part of Switzerland, the Canton of Jura was created only in 1979. 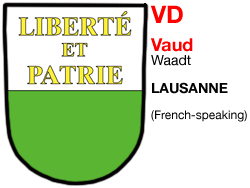 Until then, it was part of the Canton of Bern, even if it's a French-speaking area. 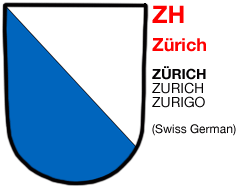 A long struggle for independence started after WW II and led to the creation of the 26th Swiss canton. Situated at the French border, it's a great place for nature lovers! One of the most famous tourist destinations of Switzerland, this canton is located in the centre of the country, on the northern foothills of the Swiss Alps. The town of Lucerne, with its incredible wooden bridges, lies on the shores of the picturesque Vierwaldstättersee (Lake of the Four-Cantons) and is a starting point for hikes to summits like the Pilatus and the Rigi with their breathtaking panoramic views on the Alps, the lakes and the Swiss Mittelland through to Germany and France. 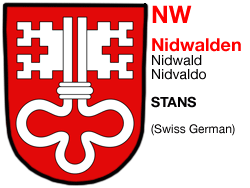 With Lake Lucerne and the mountains within easy reach, leisure and recreational activities of all kinds are a year-round reality in Nidwalden. The lakeside municipalities offer a whole range of water sports, and cableways and railways provide direct access to the pre-Alps. Destinations are quick and easy to reach for both holidayers and day trippers. A canton where you'll discover crystal clear lakes, flowering alpine meadows, refreshing waterfalls, historic and religious sites. Ideal for long walks and mountain hikes, bicycle trails, swimming fun and wellness, culture and tradition. The Canton of St. Gallen is an undulating foothill landscape, with the imposing Säntis mountain and the Alpstein range as a backdrop. 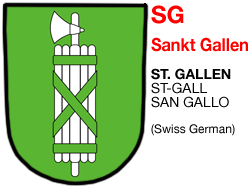 The town of St. Gallen is a genuine must and the shores of Lake Constance (Bodensee) provide outdoor swimming opportunities, water sports and exciting museums. The rural area is a marvellous hiking and biking region, with lake and mountain panoramas always in view. The Canton of Schaffhausen, northernmost of the country, hosts Switzerland's most refreshing and popular tourist attraction: the Rhine Falls, Europe's biggest waterfalls, where across a width of 150m, immense volumes of water crash down over the rocks with a thundering roar. 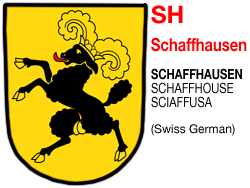 The little town of Schwyz, capital of the canton with the same name, is home to the Forum of Swiss History and important founding documents of the Swiss Confederation. The canton is famous for its cherry blossoms and numerous cherry specialities, and it's also where the famous Swiss army penknives come from. 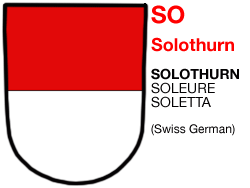 Solothurn is a fine baroque town, where Italian grandeur is combined with French charm and German practicality. 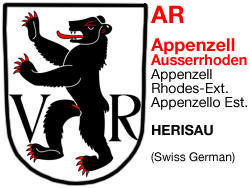 It is located at the southern end of the Jura mountain range by the River Aare, about 30 km east of Biel/Bienne. The canton is a real nice area for hikes along the river or over the Weissenstein summit. A landscape made for the bicycles: rolling hills, broad river valleys, 70 kilometers of shores along Lake Constance (Bodensee) and the Rhine. Historically important monasteries, museums and typical villages. 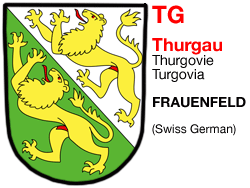 A healthy country: one third of all Swiss apples mature in Thurgau's orchards! 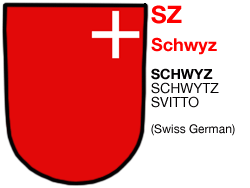 It's an Italian-speaking region of Switzerland, and the only canton situated south of the Alps, a kind of piece of Italy grafted on Switzerland. 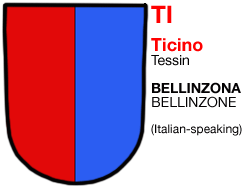 If you say Ticino to a Swiss citizen, he'll reply Holidays! 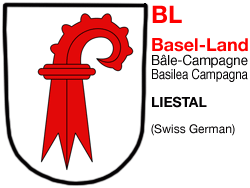 Mildest climate of Switzerland, and the best Merlot wines around. 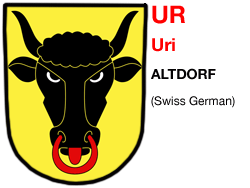 Uri fascinates by its manifold temptations: from the mild Mediterranean shores of the Vierwaldstättersee (Lake of Lucerne) to typical villages and up to shining snowfields, Uri is a land of many surprises and it's the country of Wilhelm Tell, the mythical Swiss hero! The unique sunsets over Lake Zug are an experience not to be missed, nor is the modern artistry in light, created by James Turrell for the railway station. Then there is the magical world of the caves at Baar: the beautiful walks in idyllic surroundings, or how about savouring a delicious piece of our world-famous Zug kirsch cake? As a lakeside discovery metropolis with views of the snow-covered Alps on the horizon, Zurich offers a unique mix of adventure, enjoyment, nature, and culture. 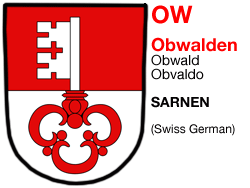 With some 1,400,000 inhabitants, the canton is the most populated of Switzerland and the intercontinental airport of Kloten is the main gateway to the country.